IT professionals are well-compensated, but 2016 looks will bring even higher pay for some tech workers. If you're looking to boost your paycheck, consider adding one or more of these 20 skills to your resume. For the average U.S. worker, wages have remained stagnant for approximately the last 40 years, according to 2015 research from the Economic Policy Institute, even as productivity and the number of hours worked has increased - except for those in STEM and IT careers, that is, where salaries saw the largest year-over-year increase ever from 2014 to 2015. 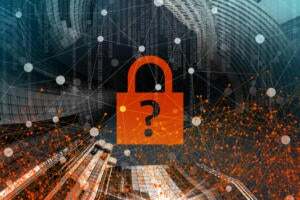 The demand for knowledge workers in IT is increasing salary pressure on IT-dependent organizations in general and for specific skill sets in particular, says Tim Low, senior vice president of marketing for compensation benchmarking and analysis company PayScale. "The macroeconomic data about stagnating wages is true, overall, but in certain job sectors and very specific IT skills, we're seeing the exact opposite. The demand for these skills is driven by the emergence of the cloud, big data, mobile and software and application engineering, which are critical technologies for companies today," Low says. Based on PayScale median salary data for workers in IT, CIO.com put together a list of the IT skills that will give you the greatest bump in pay, along with median pay by experience level and the expected percentage of increase each skill could provide. So, if you're looking to pad your paycheck, consider adding one or more of these 20 hot IT skills to your repertoire. Scala, an acronym for "Scalable language" is a general-purpose language for building Web services. Median pay for entry-level software developers is $77,400; for senior software engineers median salary is $106,700 and for a software architect median salary is $126,900. 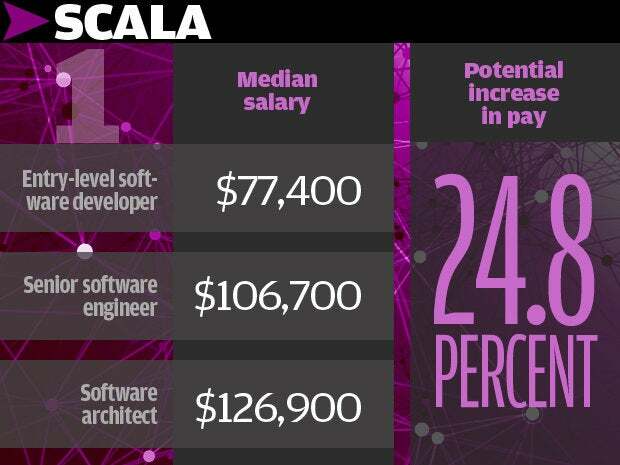 Adding Scala to your skills can result in a 24.8 percent pay increase, according to PayScale data. Algorithm development's a critical skill for software engineers, product and program managers and anyone who's working on a data-intensive project. Median salary for entry level software engineers is $77,400; for senior software engineers median salary is $106,700 and for a Research scientist median pay is $77,800. 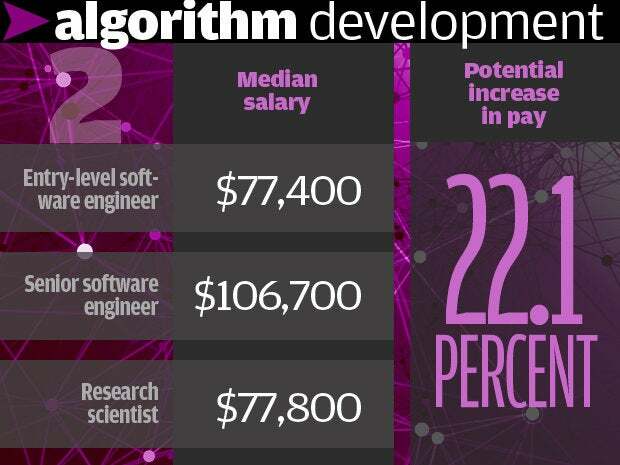 Adding algorithm development skills could get you a 22.1 percent pay increase. Xcode is the integrated development environment (IDE) used with the Swift programming language to build Apple applications, including mobile apps. A junior software engineer's median salary is $77,400; a senior software engineer's median salary is $106,700 and a mobile application developer's median salary is $72,300. 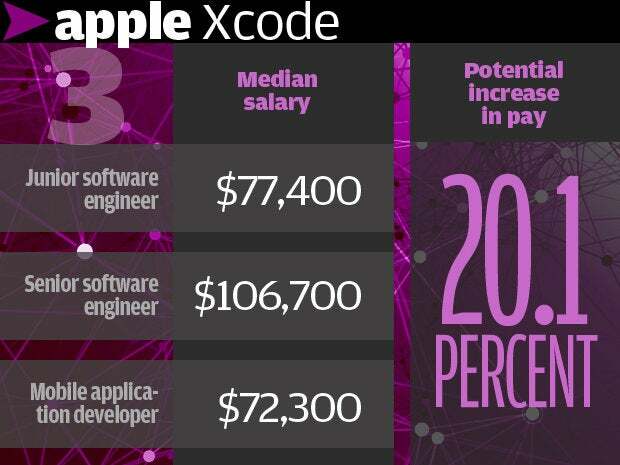 Adding Xcode skills could result in a 20.1% pay boost. 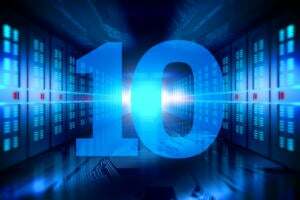 The popular Web application framework has been hot for years, and demand shows no sign of slowing. The junior-level median salary for a software engineer is $77,400; for a Web developer median salary is $57,300 and for a senior software engineer median salary is $106,700. 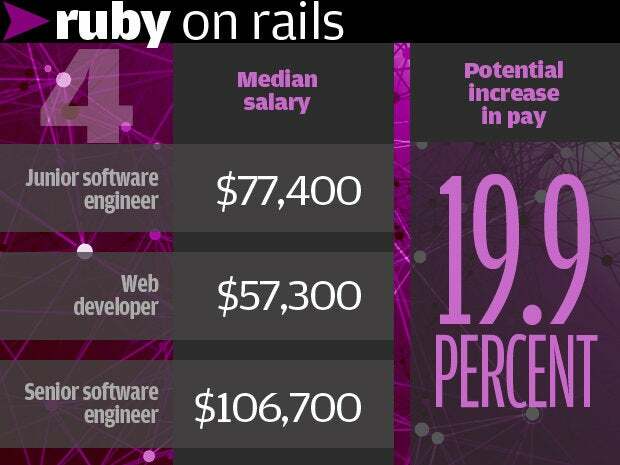 Adding Ruby on Rails - or, simply, Rails - adds an additional 19.9 percent salary bump. Objective C is an object-oriented programming language used to create Apple software and applications. Entry-level median salary for a software engineer is $77,400; for a mobile application developer median salary is $72,300 and median salary for a senior software engineer is $106,700. 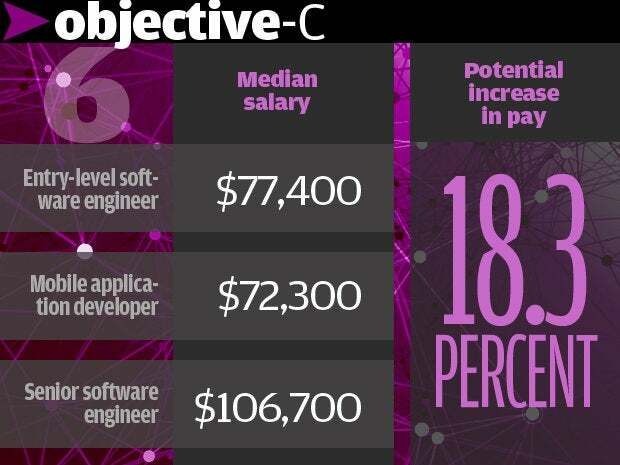 Learning Objective C could add an 18.3 percent pay increase. Apple's software development kit (SDK) is the set of tools used to create software and applications for the tech giant's hardware. An entry-level developer's median salary is $77,400; for a Web developer median salary is $72,300 and for a senior software engineer median salary is $106,700. 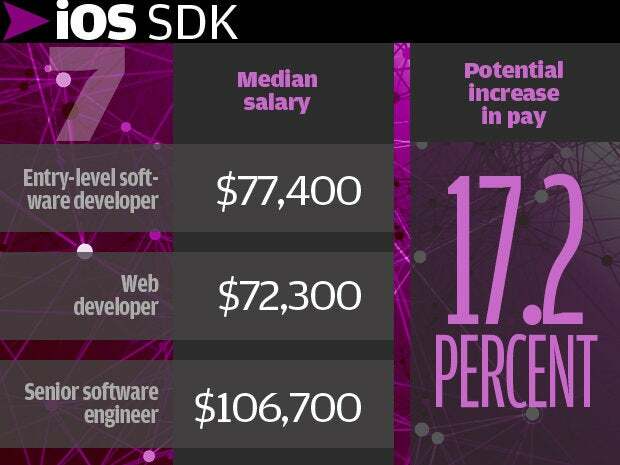 The iOS SDK skillset can add a 17.2 percent pay boost. Ruby is a dynamic, general-purpose programming language developed in the mid-1990s in Japan. Starting median salary for junior software developers is $55,500; for a mid-level software engineer median salary is $77,400 and for a senior software engineer median salary is $106,700. 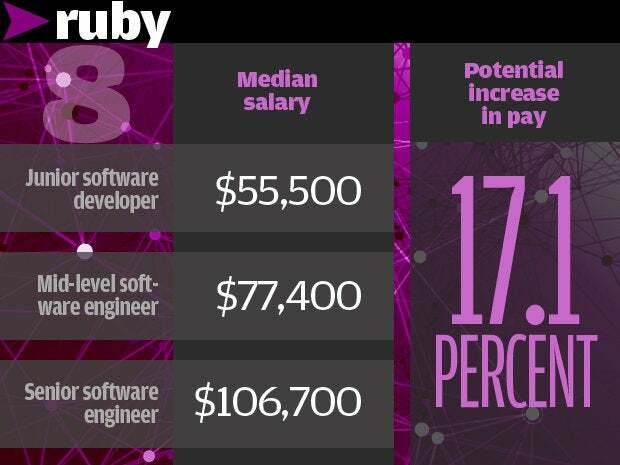 Ruby skills can add a 17.1 percent increase in salary. MongoDB is a cross-platform, document-oriented database classified as a NoSQL database. 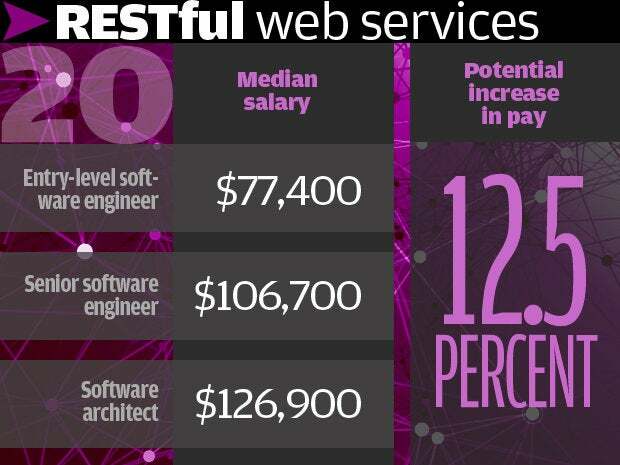 Web developers can expect a median salary of $57,300; mid-level software engineers median salary is $77,400 and senior software engineers median salary is $106,700. 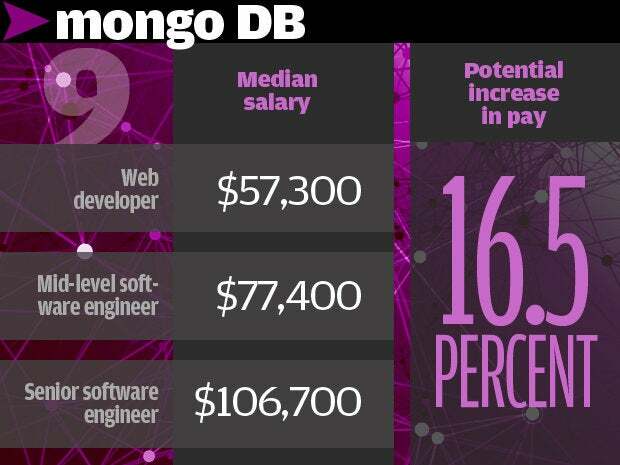 MongoDB skills can boost pay by 16.5 percent. 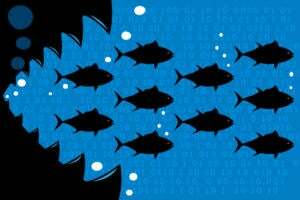 While not technically a "hard" skill, experience in transitioning and integrating systems before, during and after mergers and acquisitions is highly valued in the IT world. 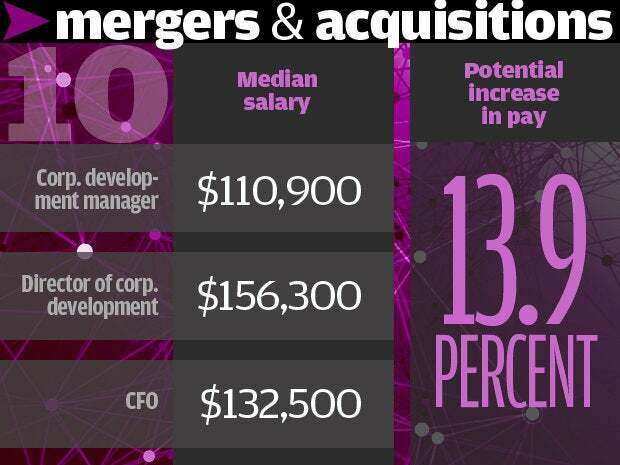 For corporate development managers, median salary is $110,900; for a director of corporate development median salary is $156,300 and for a CFO median salary is $132,500. These skills can result in a pay boost of 13.9 percent. Hadoop is an open-source software development framework, written in Java and used in big data-intensive projects for distributed storage and distributed processing of very large data sets. Hadoop skills are in high demand right now; junior level software engineering talent median salary is $77,400; a senior software engineer median salary is $106,700 and an IT data scientist median salary is $102,000. 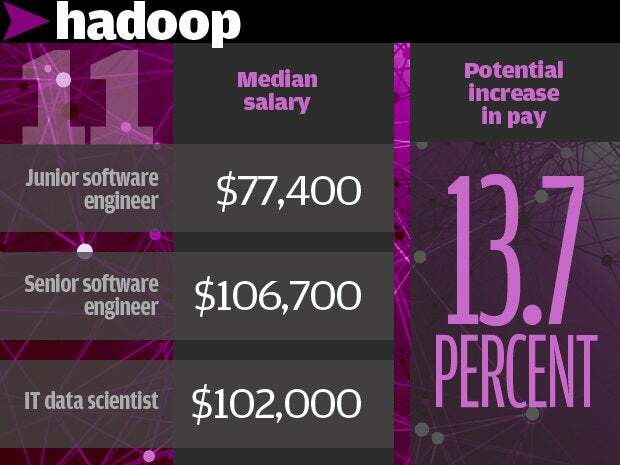 Adding Hadoop skills adds an additional 13.7 percent salary increase. Oracle Real Application Clusters (RAC) are seeing a resurgence lately. RAC was introduced in 2001 along with Oracle's 9i database to provide clustering and high availability of stored data. A junior level database administrator (DBA) median salary is $75,700; a senior DBA median salary is $104,400 and an IT architect median salary is $119,400. 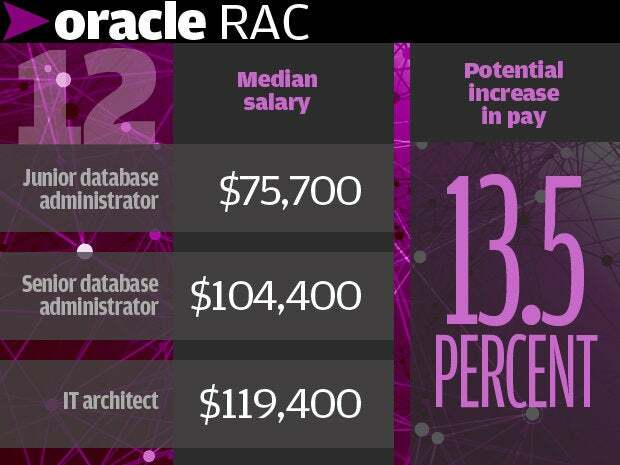 Oracle RAC skills add a 13.5 percent salary bump. The Android SDK is used to build applications for the Android mobile device operating system. A mobile applications developer median salary is $72,300; a software engineer median salary is $77,400 and a senior software engineer median salary is $106,700. 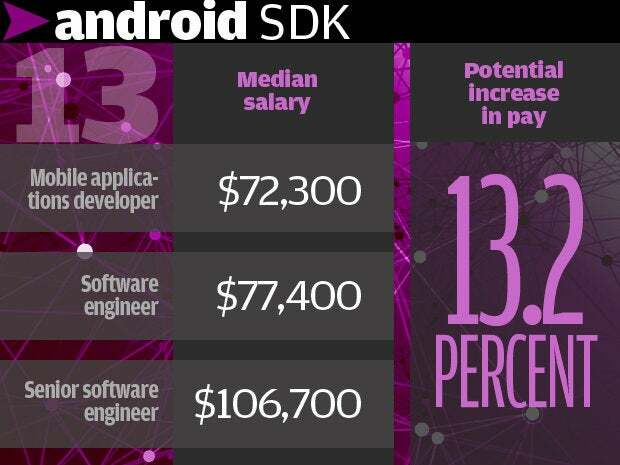 Adding Android skills can increase your salary by 13.2 percent. Cloud computing enables ubiquitous, on-demand access to computing resources using shared servers. Software talent with cloud design, development and integration skills are in high demand; a software developer median salary is $77,400; a senior software engineer median salary is $106,700 and a cloud solutions architect median salary is $126,000. 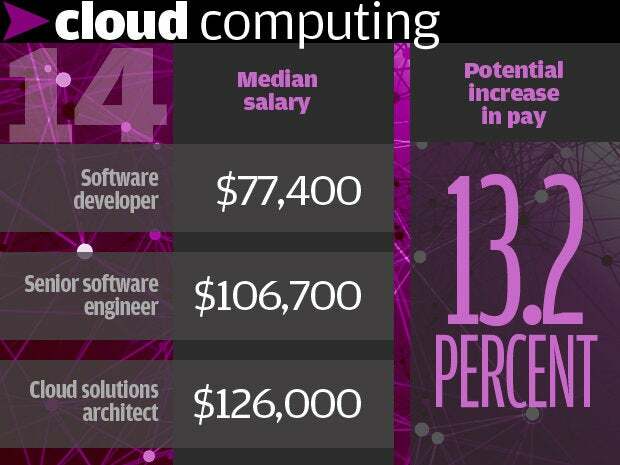 Cloud computing skills can boost salary by 13.2 percent. PostgreSQL, or simply Postgres, is an object-relational database management system, and has increased in popularity due to the prevalence of cloud computing. 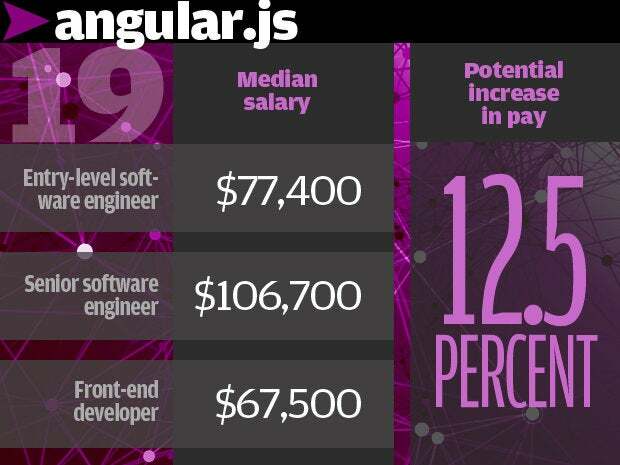 A Web developer median salary is $57,300; a junior software engineer median salary is $77,400 and a senior software engineer median salary is $106,700. 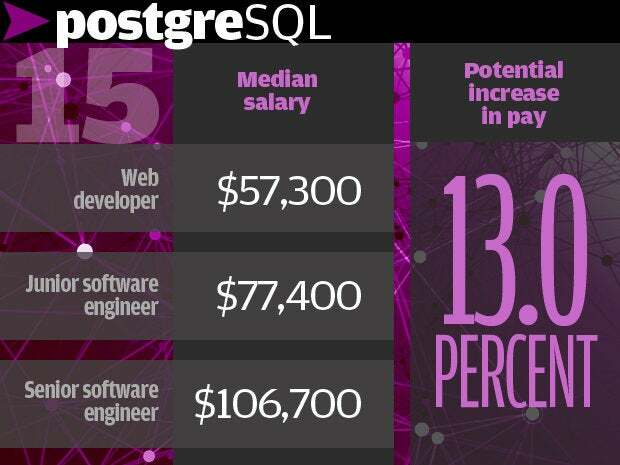 Postgres skills can add a 13.0 percent salary increase. Django is an open-source Web application development framework written in Python. 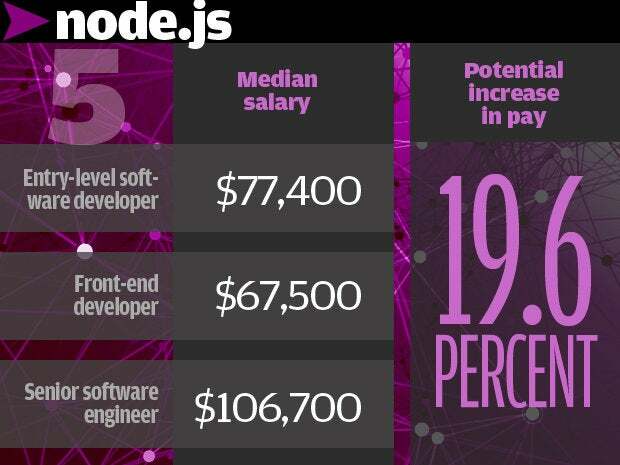 A Web developer median salary is $57,300; a junior software engineer median salary is $77,400 and a senior software engineer median salary is $106,700. 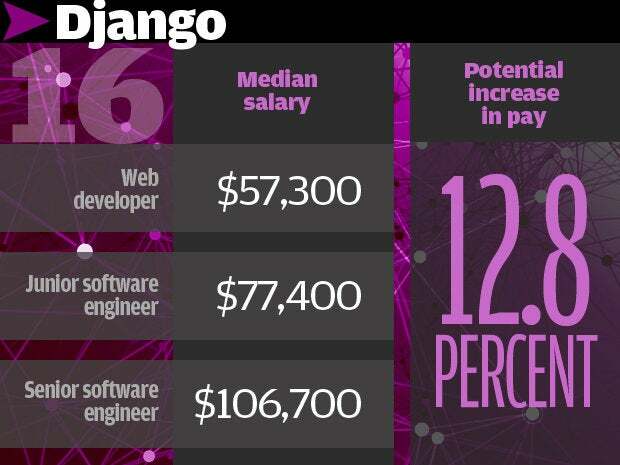 Adding Django skills can add a 12.8 percent salary hike. Python is a general-purpose, high-level programming language used in developing Web applications. It's also frequently used in conjunction with Hadoop and other big data software technologies, as well as for cloud computing. A Web developer median salary is $57,300; a junior software engineer median salary is $77,400 and a data scientist median salary is $102,000. 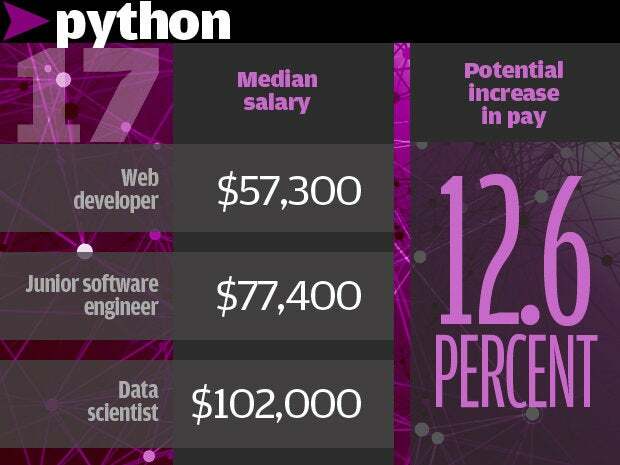 Python development skills can add a 12.6 percent bump in salary. Mobile application development is critical for IT companies today, and many are moving to a mobile-first strategy, which means any and all apps and software written are optimized first for mobile, rather than being retrofitted from web and/or desktop versions. Entry level software engineer median salary is $77,400; senior software engineer median salary is $106,700 and a software architect median salary is $126,900. 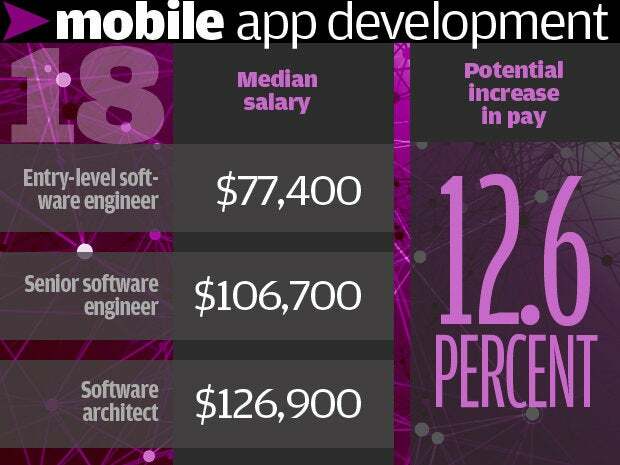 Mobile app development can boost salary by 12.6 percent. Representational State Transfer (REST) is an architectural style used for networked, hypermedia applications. It is mainly used to create lightweight, easy-to-maintain, scalable Web services. Median salary for an entry level software engineer is $77,400; for a senior software engineer $106,700 and a software architect median salary is $126,900. Adding RESTful boosts salary by 12.5 percent.